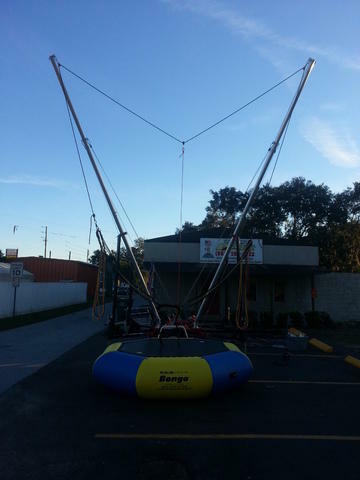 Enjoy the thrill of bungee jumping with the fun of a trampoline! Imagine the sensations of flying over 20 feet into the air and executing a variety of jumps, flips, and other aerial maneuvers. Participants wear a specially designed harness that attaches them to the bungee cords and a safety mechanism that keeps jumpers centered. Single, double and quad jump stations available. One attendant per jumping station included. 100% Fun 200% safe.